In a tweet posted on Wednesday, government spokesman Dimitris Tzanakopoulos dismissed press reports claiming that he had a falling out with Finance Minister Euclid Tsakalotos.“After the failed ‘Tsipras vs Tsakalotos’ it seems that we are going on to the sequel: ‘Tzanakopoulos vs Tsakalotos.’ This won’t sell many tickets either,” Tzanakopoulos quipped. He was replying to press reports claiming disagreements between members of the government and failure to support Tsakalotos, based on the spokesman’s reference in a Wednesday interview regarding the figures for growth released by ELSTAT. 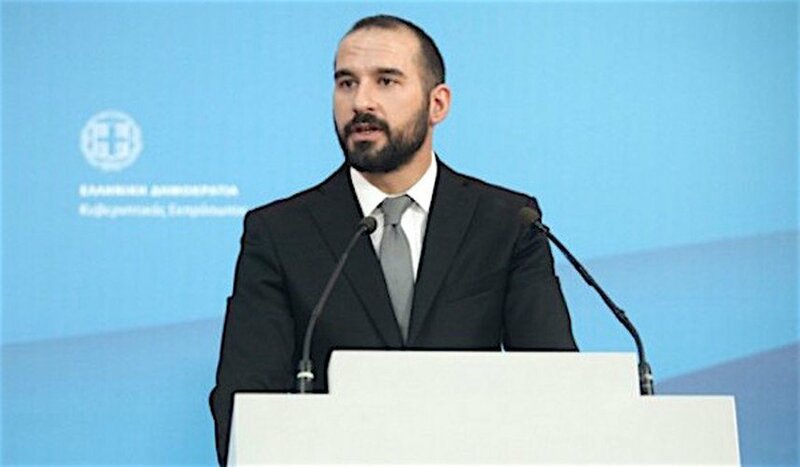 In the interview, when asked if the prime minister had been aware of the ELSTAT figures, Tzanakopoulos had replied that this was not possible, since “ELSTAT is an independent authority that releases its findings without discussing them with the Greek government.” When reporters asked if the finance minister had been aware of the figures, Tzanakopoulos said he did not know and urged them to ask Tsakalotos in person.